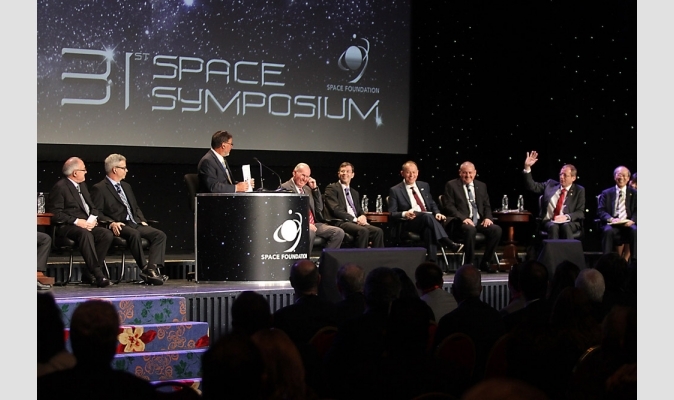 November 12, 2015 – The first panel presentation of the Space Foundation’s four-day 32nd Space Symposium will be a discussion of the most pressing global space issues by the world’s top space agency leaders. This will be the largest plenary gathering of heads of space agencies at any space conference in 2016. The panel will be moderated by Space Foundation Chief Executive Officer Elliot Pulham, and more agency leaders are expected to join. The 32nd Space Symposium is slated for April 11-14, 2016, at The Broadmoor in Colorado Springs, Colorado. This global space conference annually attracts thousands of space professionals from dozens of countries. The 32nd Space Symposium will also feature discussion of emergent space technology, and more than 160 displays of the world’s latest space technology, products and services in the Lockheed Martin Exhibit Center and Pavilion. Visit www.SpaceSymposium.org for secure online registration, meal tickets and secure lodging reservations. A $400 discount is currently available on standard industry registration if paid before January 22, 2016.